Isn't this fun?! 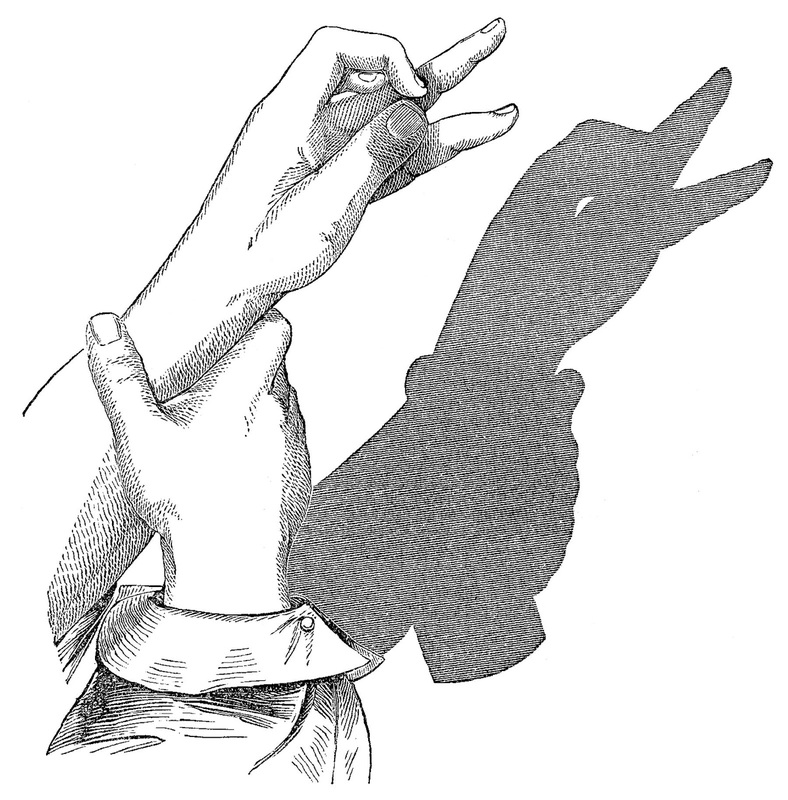 This is a vintage graphic of a duck shadow puppet found in a late Victorian book. I haven't tried any of the shadow puppet tutorials I found in the book however. They look a little challenging, and I doubt I could contort my fingers appropriately. Enjoy!